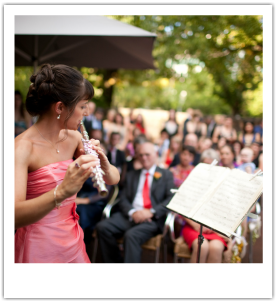 Elegant live music adds a beautiful touch to your special occasion. 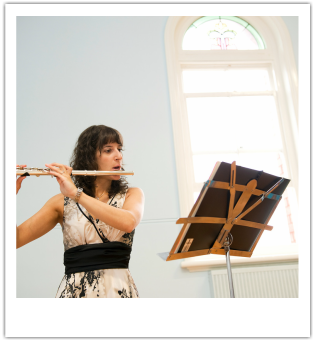 Solo flute is a beautiful choice, I can provide solo flute music for weddings, memorials, christenings, name days, corporate functions, gallery openings, book launches, and other special occasions on the North Shore of Sydney. ​The flute can be sweet and singing or virtuosic and exciting depending on your choice of occasion. Please contact me for a list of suggested music. Please contact me for ideas and music for your special event. This music welcomes the guests as they arrive and sets the mood and typically starts for 15-20 minutes before the start of the ceremony. This is the music the bride will enter with, wedding ceremonies usually have 1-3 pieces - one for the bride and one for the other members of the wedding party. Usually 1-3 pieces during Signing of the Register. The piece is the grand finale, usually joyous in nature and played while the bride and groom leave the venue as husband and wife.